The search for an affordable shooting platform is now over! 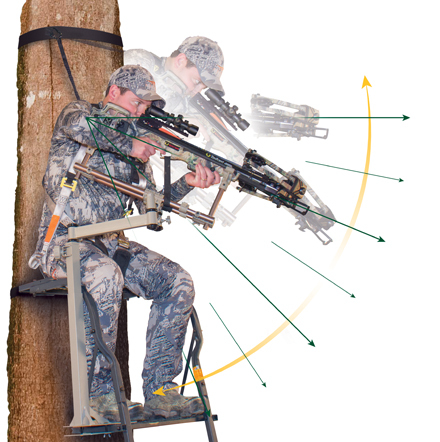 Last year we illustrated how to red-neck engineer a shooting tripod which was great. 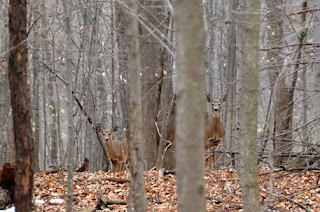 However, a tripod can take up a lot of space in a ground blind. I have always been on the lookout for something that I could attach to my wheelchair and be mobile with the weapon without knocking the entire ground blind over. In early April of this year, I was watching a deer hunting show that had a commercial for a new product called the Caldwell Tree Pod. Caldwell is very well known for their shooting rests, vices and benches for sighting guns in. I was intrigued! I jumped on Google and began feverishly researching this new product. I learned that all of Caldwell’s devices are made by Battenfield Technologies who is also the manufacturer for other great companies in the outdoor universe like Non-Typical Wildlife Solutions, Tipton Gun Cleaning, and Hooyman Pole Saws just to name a few. As mentioned earlier, this thing matched my wheelchair perfectly. The Tree Pod's base plates are held together with wing-nuts which makes it easy to simply slide the base on or off the footstools of a wheelchair. No sense in completely unscrewing these every time which is time consuming. Leaving the plates loosely screwed together will also likely help you not to misplace or lose one of the bolts or wingnuts. So the short of the story is a great shooting rest that is mass produced by a reputable manufacturer at a price that anyone can be happy with. 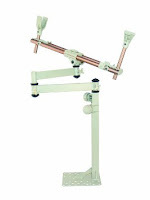 Additionally, they also sell separately the lower receiver to install in other blinds or stands that you want to hunt. You don’t have to lug around the entire apparatus. You only need to carry the upper portion. They even make a special receiver that can be drilled into a wall on a box blind which is really going the extra mile to give a hunter what they want. The price point of the Tree Pod ranges depending on who you are purchasing it from. The best price I have seen is on Amazon for $122.49 (price may fluctuate). You can also pick up the additional base or two you might want for multiple blinds at just under $40. The most popular article ever written on this blog was about electric fishing reels. I have some great news…a new electric reel has emerged onto the scene. So, imagine that a dentist gets to work in the mouths of the likes of Al Lindner, Dan Sura, Dave Csanda and Jeff Zernov. These guys are all legends in the northern part of the country. This same dentist also has a son with cerebral palsy that makes one hand and arm virtually unusable. The dentist’s son, Nathan, loves to fish and the dentist has access to true giants in the fishing industry. Ideas were dreamed, discussions were had, and designs ensued. Boo-Yah - The M-POW-R reel was brought to reality. It is the brain-child of THE dentist - Dr. Roland “Doc” Kehr. The problem was met with a solution that would enable Nathan to cast and reel with his one very good arm and hand. Don’t you just love it when people overcome adversity? So, do I! The reel is being featured in Bassmasters iCast 2015 and will likely be a game changer in the world of electric reels. Visiting with “Doc” Kehr about the reel was incredible. I could tell immediately that he has a passion to advance the world of disabled sports and outdoors. To give some perspective, at the writing of this article there are approximately 35,000,000 individuals with some sort of disability to one of their arms or hands whether by disease, military service or old age. 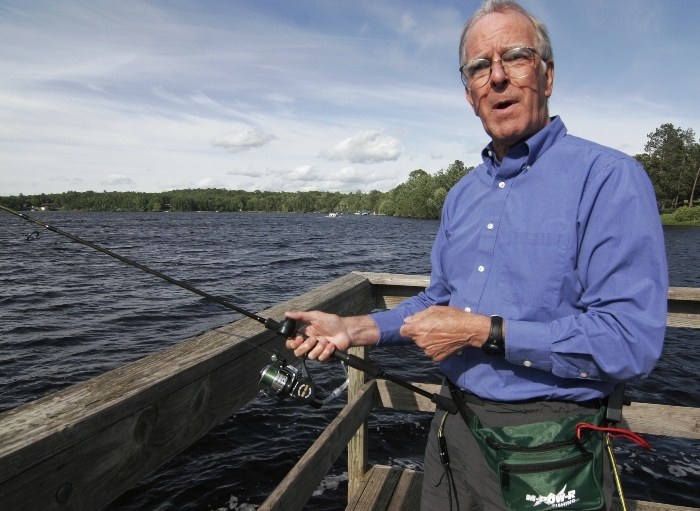 Doc mentioned that a quadriplegic is using the reel currently – WOW! The reel is offered in two formats based on your preference. 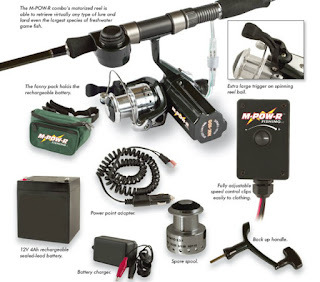 The first is the NK-100 which is a rod and reel combo with the reel button built into the rod. The bail also has an extra large trigger on it which would prove helpful in casting with one hand. The second type is called the NK-100PH and features the same reel as the standard 100 model except the power harness attaches to just about any spinning rod and can even be mounted on a fly rod. This gives the angler their choice as to what type of rod they may want to use or switch the reel to. Ok, so we have the concept, how is the durability of this reel? The reel itself is built by D.A.M. Quick reels. It’s great German engineering with a company that has been around since 1875. 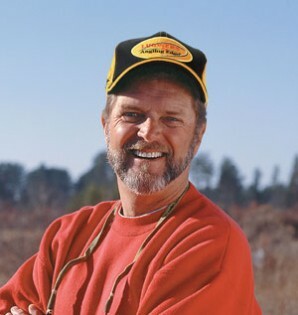 Doc was a co-owner of Little Joe Tackle Company and had the knowledge to select a reel that could match the demand. All day usage is typical on a single battery. It had no problem in an all day rain while testing and caught about 300 fish on that weekend. It is designed to tackle anything in the fresh water environment. Being from up north they have to handle large Smallmouth, Pike, Walleye and Muskie. Doc was confident that inshore salt water fishing is also very do-able with this reel so long as precautions were taken to protect the motors from the salt water environment (standard for any electric reel). 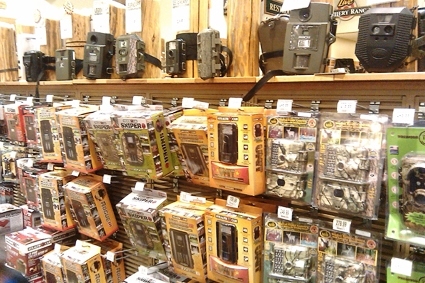 In the world of outdoor gadgets, there is nothing as innovative as the trail camera. Before the dawn of the age of multi-megapixel-cameras, you had to get out and spend a lot of time scouting for deer sign yourself. 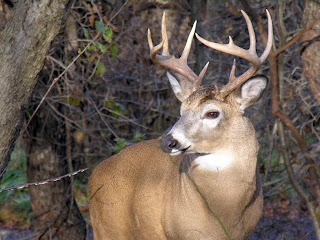 Although, that is still a highly desirable skill, trail cams have made figuring out the pattern of a trophy white tail much easier and without leaving your scent all over your desired hunting area. We are talking about 21st century technology here with HD video, black infrared, less than half-second motion detection, and micro sd cards that can hold up to 32 gigabytes of info. You can spend anywhere from just under $100 all the way to several hundred dollars depending on the technology that you want to deploy into the field. There is a scenario for all the different styles of trail-cams and the manufacturers do a great job of delivering you something at your personal price point of sanity. But, I like to ask the hard questions. Which one really captures all of the evidence that is available for the hunter to pour over like a CSI detective? Which one is truly the best? The PlotWatcher Pro is also highly touted by Dr. Deer himself, James Kroll. Dr. Kroll is a big advocate of food plots. Documenting deer in the middle of a food plot was virtually impossible until now. The reason why these giants in the industry are sold on this particular trail-cam is because it delivers what no other trail-cam does...time-lapse footage. It does this because it is designed to take a photo at consistent intervals that you choose from every 1-5 seconds to a minute in between shots. I think the neatest feature of this trail-cam is that the pictures are saved in a video format. So, you don't have to sit and scroll through endless numbers of photos. You can view an entire day in about 3 minutes with time-stamp, moon phase, temperature, etc. all captured right on the picture. Most importantly, is that for the first time, you get a true picture of what is actually happening at your food plot or corn feeder. Even the fastest trail-cams on the market fail to capture your hit list because the deer is sometimes just out of range of the motion sensor. The PlotWatcher just keeps on snapping shots. I know what you are asking. What are the draw backs? It's a fair question. The PlotWatcher Pro is one of the more expensive models on the market. However, there are moments to splurge a little. Lets not forget that this thing does what no other camera can do. The other perceived flaw is that there is no infrared on the camera. You set it to capture images during the daylight hours only. But, I would also point out that while other trail-cams do capture images and video at night, I don't know of a single state that make it legal to shoot a deer at night. The PlotWatcher Pro helps you to pattern a deer in the hours that you can actually engage the animal. In the original model of this camera, the battery life was a big downer. However, that has been remedied in the newer Pro model. The average life of the batteries is almost 3 months. You can take a million pictures on one set of batteries with this camera. A truly powerful gadget and one I have recently added to my personal stable of gear. Follow me on Twitter next week as I will be fishing for Amberjack in the Gulf of Mexico on top-water - w00t! There is nothing like the relationship between an outdoor enthusiast and their gear. Technology and advancements in innovations have brought some pretty neat stuff to the world of hunting, fishing and travel. 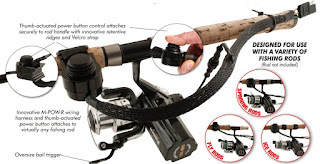 In the month of July, we will look at some of these amazing gadgets and hope to give you some insights that just might help you save some dollars in your quest to get the edge over the outdoors. This week's gadget is the laser rangefinder. Simple concept. A device shoots a laser downrange. It bounces off an object and returns to the device giving you a precise distance, give or take a yard. In the past this device was the stuff of military snipers only. Today, the rangefinder has become not only easy to operate but also rather low cost. For the information it gives you, it is priceless. It is being used by outdoor photographers, golfers, hunters and competitive shooters, just to name a few. The importance of this device cannot be overstated...ever. I have a pretty good eye for distances. But, if you are off by only a few yards, it could be the difference between a wounded animal and a harvested one. It is always better to know than to guess. A trip to Bass Pro or any other local sporting goods shop will reveal that the cost for these pieces of hand held gold is reasonable. They start at prices just under $100 and stretches up to many hundreds of dollars. The trick about what is "best" is to first ask the right questions: What will it be used for? Do you need one that accounts for angle compensation for shots out of a tree stand or from a mountain ridge down into a valley? Are you shooting in thick brush or wide-open country? If you are needing to pin-point something the diameter of a golf flag at 350 yards, prepare to drop a wad of money. For most hunters, it is going to depend on your terrain and whether or not you need a rangefinder that is completely water-proof as opposed to water-resistant. 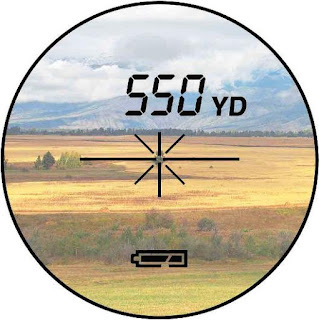 Most of your lower end rangefinders tell you straight up that you are not going to be able to range a deer passed about 250 yards unless the deer is large. 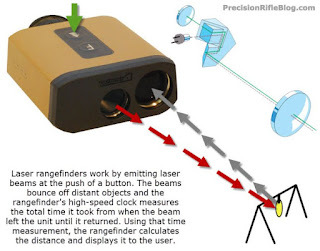 The farther the distance, the bigger the target needed to reflect the laser back to the device. When you factor in trees, foliage and brush, it can be difficult getting a laser on an animal. This is why the most expensive rangefinders are priced as high as they are. You can hit smaller objects at greater distances and get an accurate reading. Lets talk candidly for a moment. How many of you typically take shots on animals at a distance greater than 200 yards? If you are a responsible hunter and are wanting to take a deer, hog, elk or bear humanely, most rifle shots are going to occur under 200 yards and likely under 100. If you use a bow or crossbow, your shots are normally inside 40 yards. If you hunt from a ground blind, like I do, your shots are all flat. So, no angle compensation is required. I picked up a Simmons rangefinder on sale. It was just over $100 and I am really pleased with my purchase. It has a simple, one touch operation and shuts off automatically after about 10 seconds so it saves the battery. It has a standard black LCD display. The display will not be easily seen just before dark, so it will be important to range my distances while there is sunlight and make some notes. More expensive models have colored LCD's and are more visible in low-light situations. The other thing I like about a rangefinder is if you choose to setup in a new spot on a whim that has a lot deer sign around. You don't have to soil the area with having to walk the distances off to guestimate the yardages for your shots. You just get set up and pull out the rangefinder. After a few minutes shooting different objects to know the distances, you're good! No smells left behind! Whether you are the kind of person that has to spend a lot of money to feel good about your purchase or you squeeze the nickel so hard the President screams uncle, there is a model of rangefinder that will fit your needs and take the guess work out of your distance control on your next shot.